One of the oldest churches in Nigeria. It was established by the Presbyterian church missionaries. If you go to Eyamba Street just past the church there is a cemetery with stunning views over the town and river. Inside the cemetery is the tomb of Mary Slessor, a missionary from Dundee in Scotland UK, famous for the abolition of the killing of twins. On the hill overlooking the waterfront, in the Old Government House, stands the former residence of the colonial governor. The building was designed and built in Glasgow and shipped over in pieces. The museum concentrates on the history of Calabar, the region and slavery. It has a larger quantity of original documents relating to Nigeria. This is on Ndidem Nsang Iso Road hidden behind the Jahas Guest House. It was set up by two overlanders from the USA (Peter Jenkins and Liza Gadsby) who were biologists back home but who were persuaded by the Nigerian Government to stay in Nigeria and look after the endangered Drill Monkeys which were traditionally hunted and eaten in the Afi Mountain range that borders Cameroon. The couple now have staff in Calabar where they care for recently rescued monkeys e.g. those they capture from people trying to smuggle and export them and they also then return them to the wild at the Drill Ranch in Afi Mountains which is not too far from Calabar. The Marina Resort is one of the most fascinating tourist destinations in Calabar. The resort is home to buildings dating back to the colonial era as well as modern facilities like the slave museum, speed boat ride, the carrousel horse ride, film/movie theatre, and night clubs. 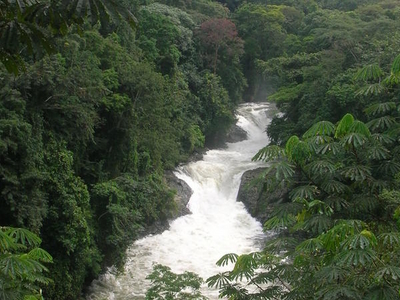 The resort affords visitors a rare view of the beautiful Calabar River in a relaxed atmosphere. Tinapa provides international standard wholesale emporiums, integrated shopping complexes and product distribution elements supported by business tourism and entertainment facilities. The Obudu cattle ranch on the outskirts of Calabar is known for its serenity and beauty. It is a prime location for a vacation. These falls are a spectacular sight to behold. Nature’s art at its finest. Visit Calabar today to enjoy these and more amazing experiences. This Recipe Removes Ugly Dark Patches On The Neck, Underarms And Inner Thighs In 15 Minutes! Infographic – All You Need To Know About Ebola; Symptoms And Causes!